Anthony G. Oettinger is Gordon McKay Research Professor of Applied Mathematics and Research Professor of Information Resources Policy at Harvard University, whose faculty he joined in 1954. He belongs to the Council on Foreign Relations. 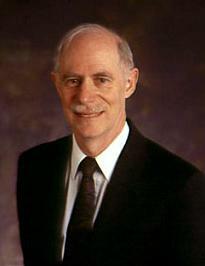 He is an emeritus member of the US Director of National Intelligence's Intelligence Science Board. From 2002 to 2009 he served as the founding chairman of that Board and, from 1994 to 2002, of that Board's predecessor, the U.S. Director of Central Intelligence's Advanced Technology Panel. In 2009 he was awarded the National Intelligence Medallion and a commendation letter from President Barack Obama. From 2003 to 2009 he was an ex officio member of the U.S. Defense Department's Defense Science Board. From 1994 to 2010 he chaired the Board of Visitors of the U.S. National Defense Intelligence College, having joined that Board in 1986. He founded the Harvard Program on Information Resources Policy in 1972 to create useful knowledge, both competent and impartial, on controversial information matters. Toward this aim, the Program follows what still seems to be a unique process, with many ingredients. Among the essential ingredients is research support that comes both in small doses and from the widest variety of sources the Program can convince to contribute their money to its work; the idea is to be owned by everybody so as to be owned by nobody: no single sponsor can kill the Program just by withdrawing support. From 1997 to 1998, he served on the Banking and Finance Sector Study Team that contributed to the report, Preliminary Research and Development Roadmap for Protecting and Assuring Critical National Infrastructures, issued by the President's Commission on Critical Infrastructure Protection and the Critical Infrastructure Assurance Office in July 1998. From 1996 to 1998 he was a member of the National Library of Medicine's Long Range Planning Panel on International Programs. In the White House, Professor Oettinger was a consultant to the President's Foreign Intelligence Advisory Board (1981-90), the National Security Council (1975-81) - for which he received a commendation letter in 1977 from President Gerald Ford - and the Office of Science and Technology (1961-73). He chaired the Massachusetts Cable Television Commission (1975-79) under Democratic governor Michael Dukakis, having been on it from its start in 1972 under Republican governor Francis Sargent. He founded the Computer Science and Engineering Board of the National Academy of Sciences and chaired it from 1967 to 1973. He was also on the Research Advisory Board of The Committee for Economic Development (1975-79) and a consultant to Arthur D. Little, Inc. (1956-80), as well as on the Scientific Advisory Group of the Defense Communications Agency (1979-90; now DISA, the Defense Information Systems Agency), on the Command, Control, Communications, and Intelligence Panel of the Naval Research Advisory Committee (1978-82), and a member of the Information Warfare panel of the Naval Studies Board of the National Academy of Sciences (1993-1995). From 1963 to 1967 he was an adviser to NASA's Apollo moon-landing program. From 1966 to 1968 he was president of the Association for Computing Machinery. He is a Fellow of the American Academy of Arts and Sciences, the American Association for the Advancement of Science, the Association for Computing Machinery, and the Institute of Electrical and Electronic Engineers, the last "for pioneering contributions to machine language translation, to information retrieval, and to the use of computers in education," contributions detailed in Early Years in Machine Translation: Memoirs and Biographies of Pioneers, edited by W. John Hutchins (John Benjamins Pub. Co., 2000) and in Makin' Numbers: Howard Aiken and the Computer, edited by I. Bernard Cohen and Gregory W. Welch (MIT Press, 1999). Professor Oettinger wrote several chapters in The Information Resources Policy Handbook: Research for the Information Age, edited by Benjamin M. Compaine and William H. Read (MIT Press, 1999). With Martin Ernst and others he co-authored Mastering the Changing Information World (Ablex, 1993); with Carol Weinhaus, Behind the Telephone Debates (Ablex, 1988); and, with Paul Berman and William Read, High and Low Politics: Information Resources for the `80s (Ballinger, 1977). He is also the author of Automatic Language Translation: Lexical and Technical Aspects, of Run Computer Run: The Mythology of Educational Innovation, and of numerous papers on the uses of information technologies. His former students follow not only academic but also business, military, legal, and other careers. John C. B. LeGates came to the Program after a career as entrepreneur and executive in the computer and computer networking industries. He was a pioneer in computer networking and its applications. As executive director of the Educational Information Network at EDUCOM, he headed the development of nationwide academic computer networks and was a member of the ARPANET NWG, the core design team. As cofounder and vice president of Cambridge Information Systems, Inc., a builder of large, customized computer systems, he was chief scientist, head of marketing, and project director for the Massachusetts General Hospital Integrated Information System-the first hospital integrated-information system. He founded Computer Advisory Services to Education, a consulting company. 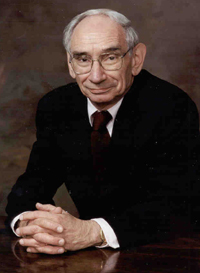 At Bolt, Beranek & Newman, Inc., he founded and ran a department to explore the use of computers in education. Of all schools in the world using computers (about 18 at the time), 75 percent were connected to this operation. He has served on panels of the National Academy of Sciences/National Research Council and the board of the National Telecommunications Policy Conference. He was the US delegate to the First World Conference on Computer Communications (Amsterdam, 1970). He has testified many times before both houses of Congress and before state legislatures and regulatory commissions. Mr. LeGates is a member of the Institute of Electrical and Electronic Engineers and the National Platform Association. He is listed in Who's Who in America, Who's Who in Finance and Industry, Who's Who in Media and Communications, Who's Who in Science and Engineering, Who's Who in the World, and other biographical compilations. His publications include The Internet: Is It a Bird? Is It a Plane? Will It Fly?, 1995; The Sound, the Fury, and the Significance, a brief history of "information highway" hype and what it can tell about the reality behind it, 1995; The Strategic Environment and Choices of Local Exchange Telephone Companies, 1990; Forces, Trends and Glitches in the World of Communications, with John F. McLaughlin, 1989; and Changes in the Information IndustriesTheir Strategic Implications for Newspapers, 1980. He is a graduate of Harvard College (A.B., mathematics) and Phillips Exeter Academy (High Honors).